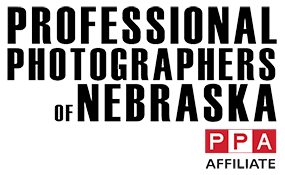 At C41 Photography we are the event photography specialists for Omaha and surrounding areas. We spend a tremendous amount of time planning with committees and vendors to ensure all of the details of your event are captured through the use of professional photography. Use your event images on social media platforms and tag guests so your event or mission reaches more than those that attended. A great photo can make someone wish they had attended and saved the date for next year’s event. Event photos can often be printed on-site as a takeaway for guests to have at the completion of the event. Perfect memory of a wonderful night and reminder to look forward to next year’s event. Use your professional event images to market next year’s event, as well as on print ads and invitations. We offer online gallery hosting of your event images so guests can go and easily download images from the event and print at their convenience. Consider putting an image in a thank you note or use as a framed gift to thank the board of directors or honorary event chairs for their help in planning such a wonderful event. Each event is different and we will customize the event photography for your specific event. We have special rates available for non-profit companies and would love to learn more about your event and how we can assist. Give us a call to discuss your upcoming event. We make sure to capture all the elements and details of the event so the experience is not forgotten. After all, you’ve put in several hours creating this special event and we’d love to be your professional photography partner.